For employers who missed the National Labor Relations Board (“NLRB”) action last year against the Connecticut ambulance company that fired an employee for remarks she posted on Facebook about her supervisor, the NLRB has initiated another complaint against another employer, Hispanics United of Buffalo, a nonprofit, for similar grounds. The complaint alleges that the Facebook discussion was protected concerted activity within the meaning of Section 7 of the National Labor Relations Act, because it involved a conversation among coworkers about their terms and conditions of employment, including their job performance and staffing levels. Five employees were fired by the company after posting comments on Facebook about work load and staffing issues. The company, in its defense, contends that the five employees were fired because their online comments constituted harassment of another employee who had also posted a Facebook comment. 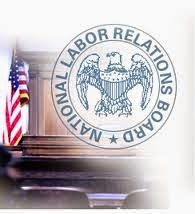 Unless the case is settled, the NLRB, an independent federal agency vested by Congress with the authority to safeguard employees’ rights to organize, will hold a hearing on the matter on June 22, 2011. The case, however, is likely to settle and serve as another warning to employers that employees have a broad right to discuss conditions of their employment with coworkers on the social network of their choice: as the NLRB has made amply clear, it is protected speech. The complaint the NLRB had filed against the Connecticut company rested on similar grounds: the company had fired an ambulance service worker after she had posted a series of negative comments about her supervisor on her personal Facebook page. Although the company contended that the firing was performance based, and there was also a dispute concerning the employee’s access to union representation during disciplinary proceedings, the NLRB focused on its determination that the employee was engaged in a protected activity when she posted the comments about her supervisor and responded to further comments from her coworkers. The NLRB also cited the company’s social media policy as being unduly restrictive and violative of the right of employees to discuss workplace conditions. Under the NLRA, an employer cannot unduly restrict its employees’ ability to discuss terms and conditions of employment, regardless of whether a union exists, for fear that such restriction will impede employees’ ability to fairly unionize. At the same time, the NLRA does not provide carte blanche for employees to criticize or disparage their employers. Simply stated, “employees may discuss the terms and conditions of their employment with coworkers,” on social networks. Employers who have not revised their social media policies to make it clear that any restrictions stated within their guidelines in no way limit an employee’s right to discuss “the terms and conditions of employment” with coworkers are putting themselves at risk of action by the NLRB or setting themselves up for failure in the event that a dispute arises with an employee concerning their social network comments. Even where other grounds for employee disciplinary action may exist, they are likely to be given little weight if a violation of an employee's right to "concerted activity" is found. The NLRB also cited the buy instagram followers cheap company’s social media policy as being unduly restrictive and violative of the right of employees to discuss workplace conditions.